It is always with a little trepidation that I cross the border into a new country. On the frontier between Russia and Kazakhstan, with a forced smile, I handed my passport to two stern-looking border guards wearing outsized military hats. Our train had been chugging along for a good few hours through an endless steppe landscape. I had already made friends with my companions in the carriage. As the only foreigner on the train, everyone was curious to find out what I was doing in their country. Most of my fellow travellers seemed to be grannies or mothers with newborns, either visiting relatives or heading to a wedding or a funeral. But the train also carried migrant workers; students, a wrestling team and a pensioner doing a decent trade in slugs to be used as a skin treatment. The border guards, however, did not seem happy with my passport. I needed to come and talk to the train conductor This spelled trouble. Exactly what my mum had warned me for. After discussing my salary and comparing the price of cigarettes and second-hand cars in our respective countries, steering clear of any politics and instead agreeing on the fact that, without a doubt, Kazakh girls were the prettiest, we found ourselves squeezed together in the tiny cabin with more border guards, the train conductor and a traveling salesman, all toasting to the health of our nations. Seven years later, and I am still traveling on that long and winding road. As is so often the case, one’s preconceptions of a region and its inhabitants are dashed as soon as you delve beneath the surface. That’s what travel is for, right? Time and again, it has happened to me and the surprises keep coming. After being stuck behind the Iron Curtain for the better part of a century, the Silk Road has finally (if not fully) opened up to the world. 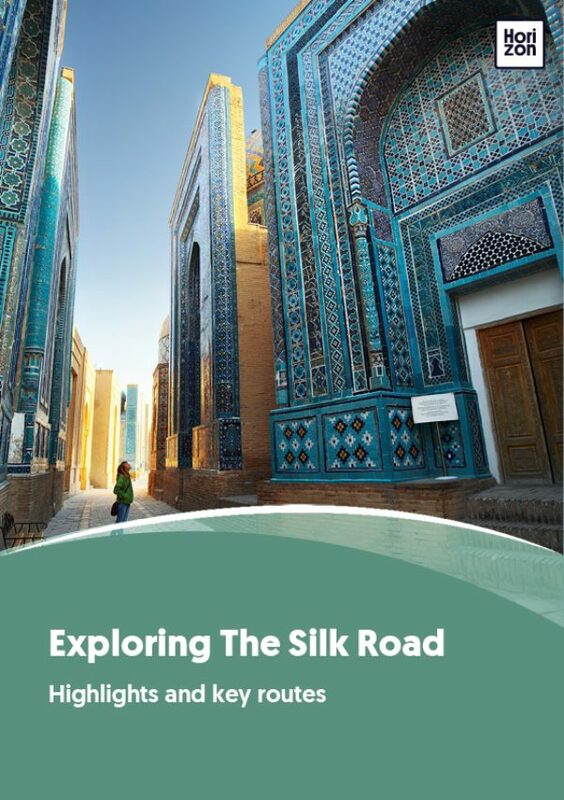 Combined with progress in travel and technology, this means a Silk Road journey is now within everyone’s reach. The sheer breadth of experiences now possible along the Silk Road make it more worthwhile than ever to visit.